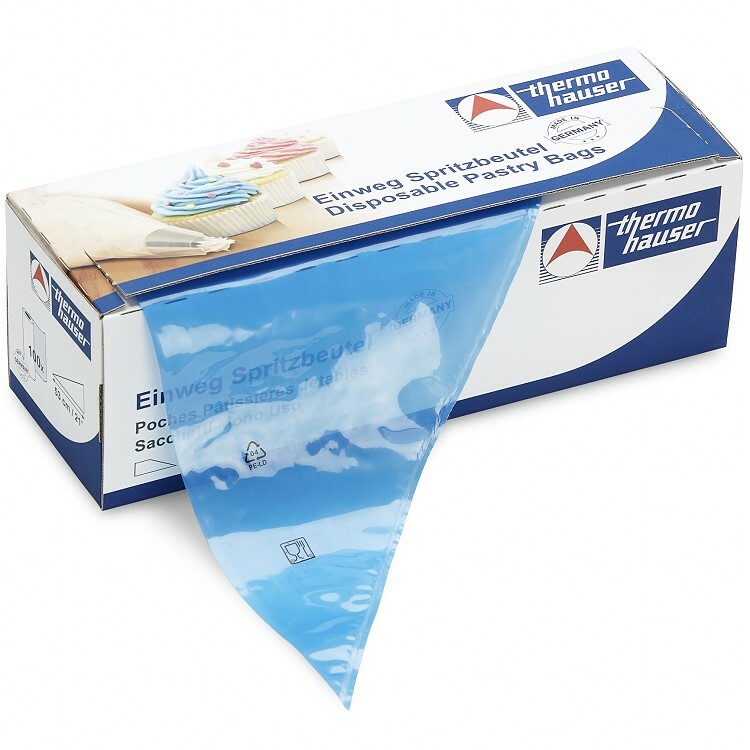 "Maximum Grip" BLUE Disposable Pastry Bags by Thermohauser, Germany. Exterior non-slip surface for fantastic grip. Smooth interior. Blue color easy to see. Can be used with or without pastry tips.